Corsair’s well-known for its wide array of enthusiast-focused PC cases, memory, liquid CPU coolers, and even liquid-cooled graphics cards. The company’s hardware powers many parts of PCWorld’s own graphics card test system. But now, after finding its footing with the bare-bones Bulldog PC, Corsair is combining its vast array of knowledge into its first-ever full-blown PC, dubbed Corsair One. The story behind the story: That said, you can discern some clues about the Corsair One by studying the available materials. It’s a relatively small form factor PC, as you can see from the image above, yet it’s still powerful enough to apparently play the demanding Witcher 3 on a widescreen display. That detail, paired with the HDMI and USB ports gracing the front of the computer, suggests Corsair’s debut PC will be capable of playing virtual reality games as well. Who knows? Maybe it'll even pack Corsair's own liquid-cooled GeForce GTX 1080. 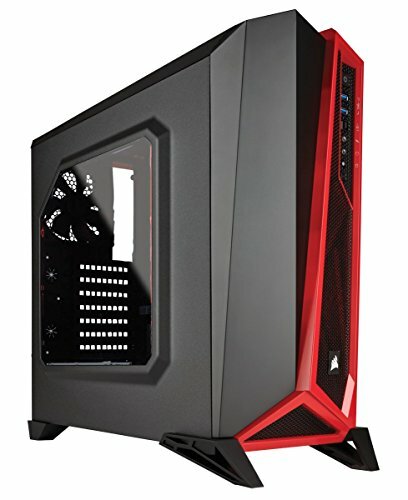 The case itself appears to blend Corsair’s traditional “clean black box” chassis design with some of the more aggressive aesthetics of the relatively new Spec-Alpha lineup, though it leans towards a more subdued look overall. The Corsair One’s diminutive size suggests it’ll use mini-ITX parts rather than a full ATX motherboard. 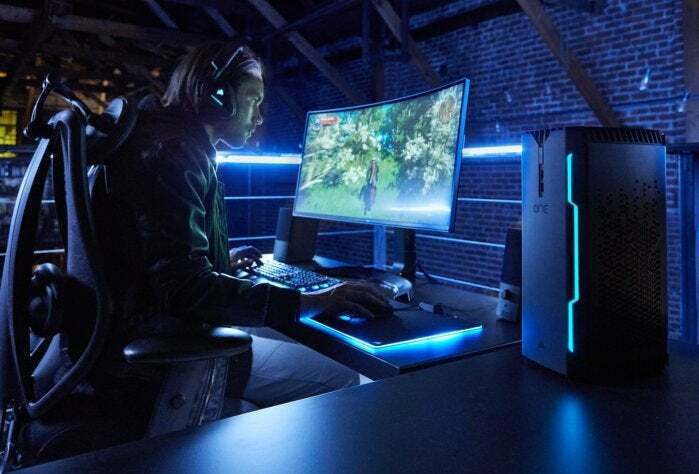 The perforated side panels and heavy fins at the top and bottom of the case hint that the PC will have plenty of air circulation to house powerful desktop components, however. One thing missing? An optical drive. It shouldn’t come as a surprise, as Corsair’s cases have been dumping 5.25-inch drives in favor of a “Direct Airflow Path” design now that Steam and downloadable games have largely usurped physical discs. Moving from an army of components and the bare-bones Bulldog is a major step for Corsair, both in the price it’ll be able to charge and the amount of support it’ll need to offer to customers. A whole lot more can go wrong in a fully assembled rig over singular pieces of hardware, after all. Corsair’s also going to have to find a niche somewhere between the big-box companies like Dell and boutique PC builders who hang their hats on customization and customer support—but damn if I’m not intrigued by the Corsair One. So when can you pick one up? Your guess is as good as mine. Corsair hasn’t revealed pricing or release date information about the Corsair One either.